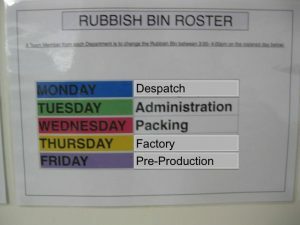 We know how important visual management is in our Lean Enterprise. 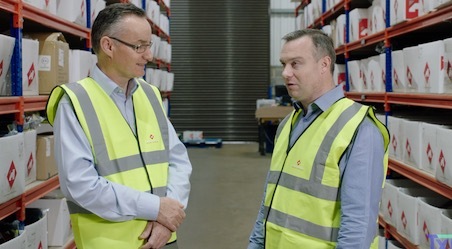 It helps everyone understand the status of everything from where the forklift lives to when we need to reorder consumables, and, perhaps most importantly, if our teams are “having a good day” and if not, what is being done to fix it. The easiest form of visual management is colour coding, where we use colours to communicate status. Once implemented, it allows our team to easily identify what action to take next. 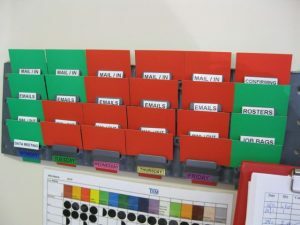 Today we will step through a case study where a TXM Lean consultant implemented a simple colour coding system with huge success. This TXM Lean client has the goal of achieving a 10-day turn around in lead time, even during the peak season. At its busiest, 6 to 10 new jobs arrive every day and add to the general production noise. 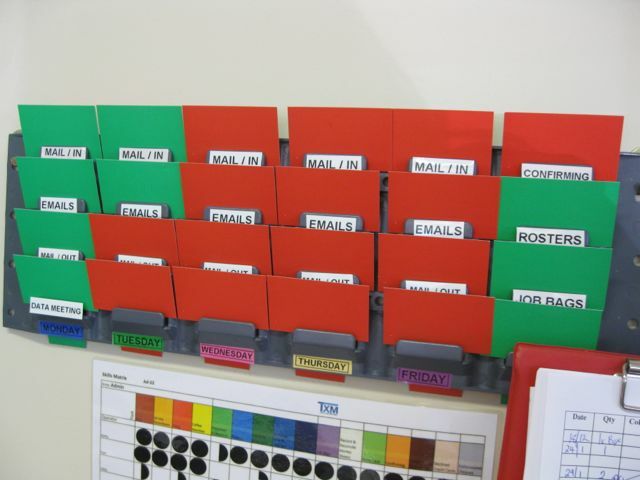 We highlighted the need for colour coding as time was being wasted looking at the work orders to determine when it was due and which one to do next, across three departments. 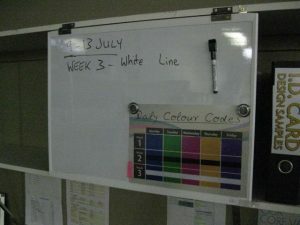 The company Lean project team spent some time kicking around ideas of how to best apply colour coding. We discussed whether we needed to do a table simulation before rollout. In the end, we decided to just jump in, keep an eye on the new process and adjust as needed. 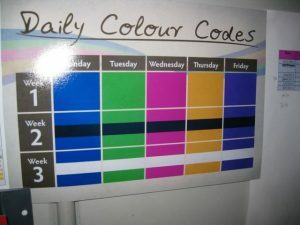 Firstly we determined a colour for each week day. Then to cover jobs that take more than the one week, further weeks were differentiated by adding the white and black stripes. These were needed as some jobs will continue into the next week during the peak season and rather than adding more colours, we’d keep the colour for each day and add the white and black to give us three week’s scope. The aim would be to get most jobs through in two weeks and have the third week to clear out the lagging jobs. 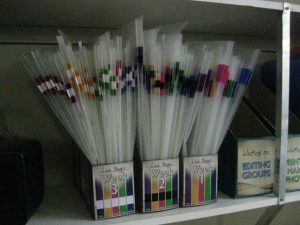 As part of the initial rollout, we ran a trial with bulldog clips and coloured paper that we had on hand. 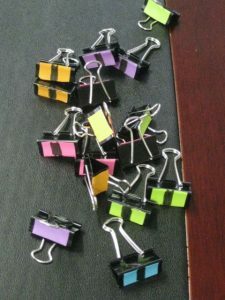 Even though we would eventually purchase coloured folders or envelopes, these clips allowed us to implement the first step that day. Over the next few days, we were happy the underlying principles of the colour coding were sound and added stickers onto the current folders being used for the work orders or job bags. Now while the job bags are still stored in alphabetical order, it it easy to see that the ones with a white line need to be done next, before the solid purple stickered job. And the blue ones needs to be completed before the green one. No need to pull out the job bag and search through the information on the front sheet to determine which one to work on next. Then new folders were bought and the labels were attached. 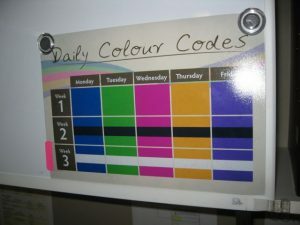 To support the colour coding implementation, simple training sessions were held and reminders posted in each department, as well as explaining the new system to each team. 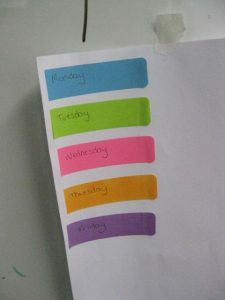 As simple as a colour coding system is, it is still important to let your team know about the new system and highlight the principles behind it, as well as requesting feedback with times where it doesn’t work and letting the Lean project team know. 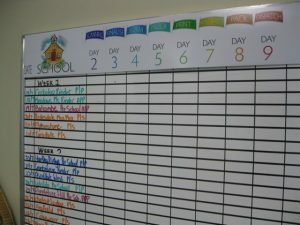 Once the colours were rolled out on the work orders, the same colours were onto jobs board where department heads meet each day. 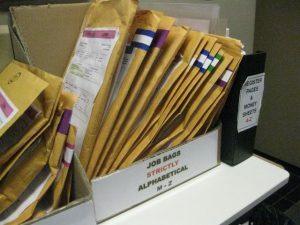 The new process stuck remarkably quickly – it was easy to see which jobs were needed to be done first without having to take the files out and look for a start date or a due date. It was continued across other applications around the company. The colours were added to the tee card board and even the Rubbish Bin Roster! It was great to see this company embrace the colour coding so quickly and while the benefits are hard to measure, it certainly made the departments manager happy. It was much easier for each of them to glance at the job bags lining up and see whether their team was on track. If their team was behind, it was easy to identify which job needed to be worked on next and allocate the resources accordingly. The 10-day lead-time is beginning to seem achievable, even during the peak times! At TXM, we would love to chat with you about your colour coding needs, as part of your Lean Enterprise journey.